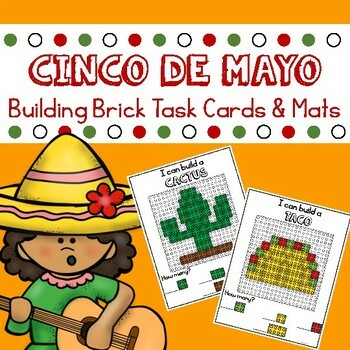 Cinco De Mayo building blocks mats are the perfect themed math center for your kindergarten classroom. 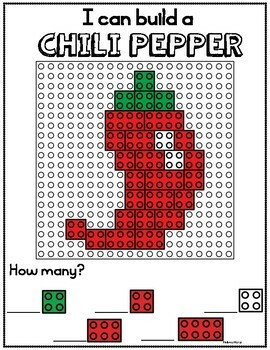 Easy prep math center activity where students create a picture using building blocks and then count how many of each color are in the picture. 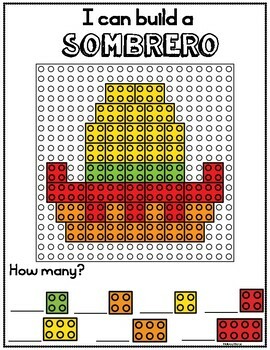 Includes 9 different puzzles (maraca, pinata, Mexican flag, nachos, taco, cactus, hot sauce, chili pepper). Includes small task cards with a recording sheet and large mats as well that are to scale. 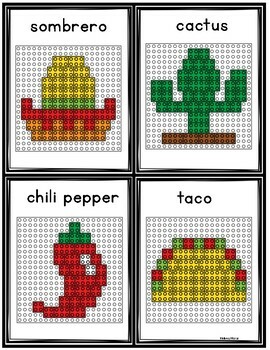 Great visual discrimination and counting activity.